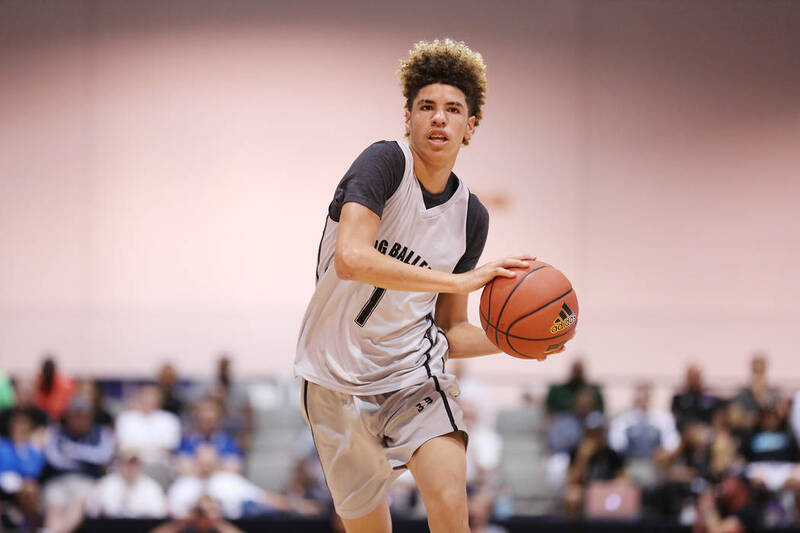 LaMelo Ball, the soon-to-be junior guard from Chino Hills (California), followed up Wednesday’s 37-point performance in a loss with 36 points on Thursday in Big Baller Brand’s 111-102 victory against Play Hard Play Smart (California) at Cashman Center. He’s 15 years old. He won’t play in a college game for two more years. 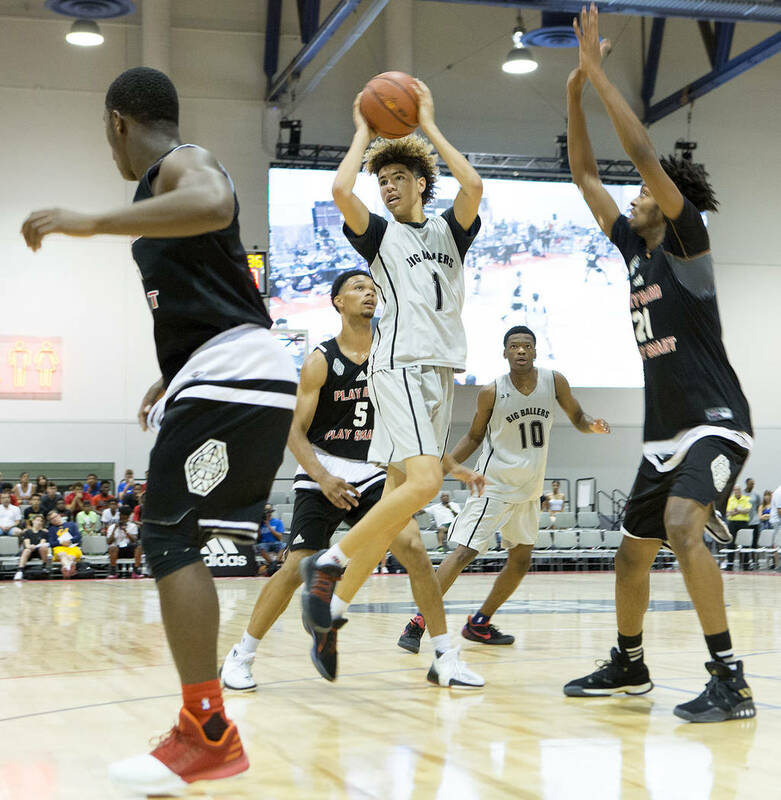 And he still leads the Adidas Summer Championships in scoring. 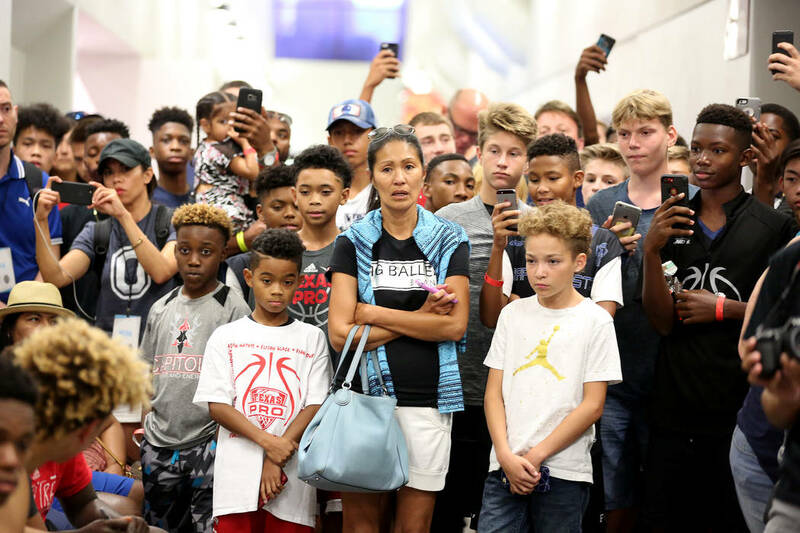 AAU games have skyrocketed in popularity in recent years, with basketball prospects being treated like celebrities. 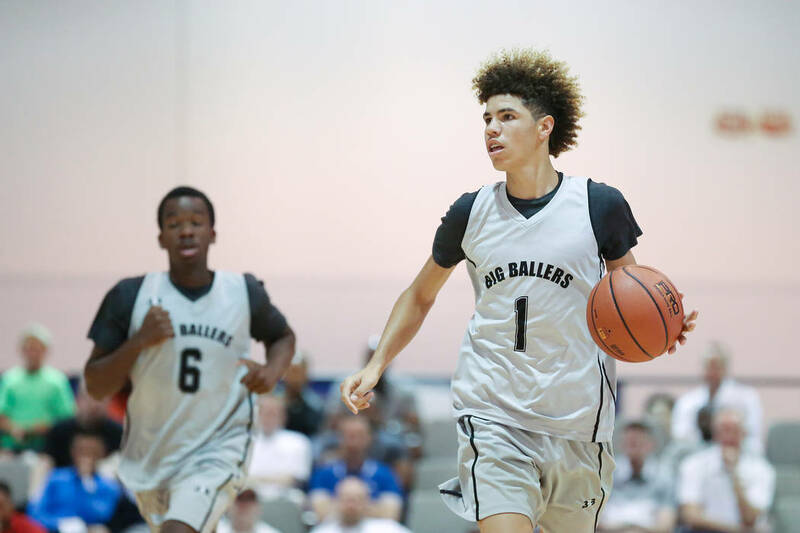 Ball has been under the spotlight for years, and said the crowds don’t bother him; not even Wednesday night, when Cashman Center was packed to see Big Baller Brand’s highly anticipated game against the team of Zion Williamson, the No. 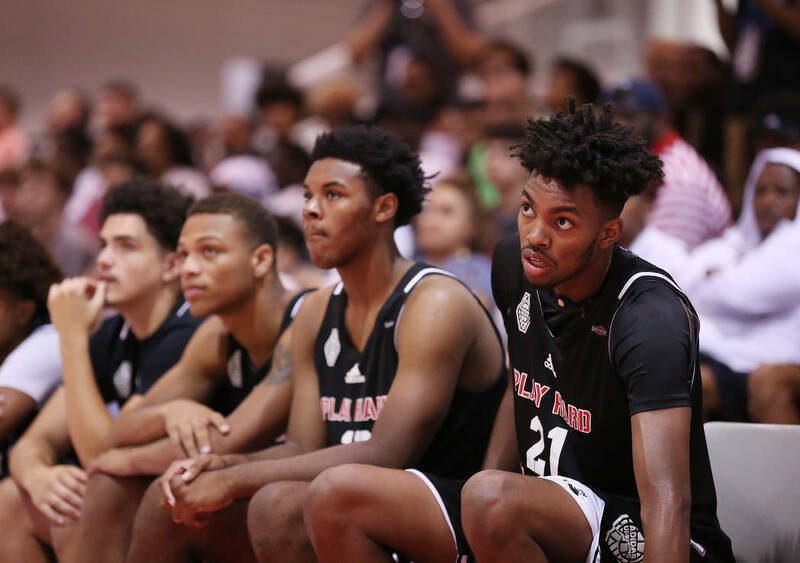 2 prospect in the Class of 2018, and SC Supreme. 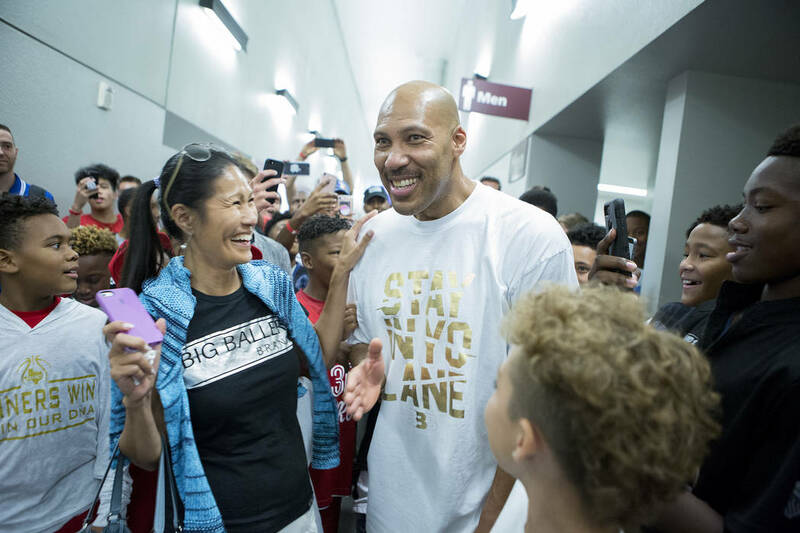 “It’s been like that for a long time, so yeah I’m used to it,” Ball said. 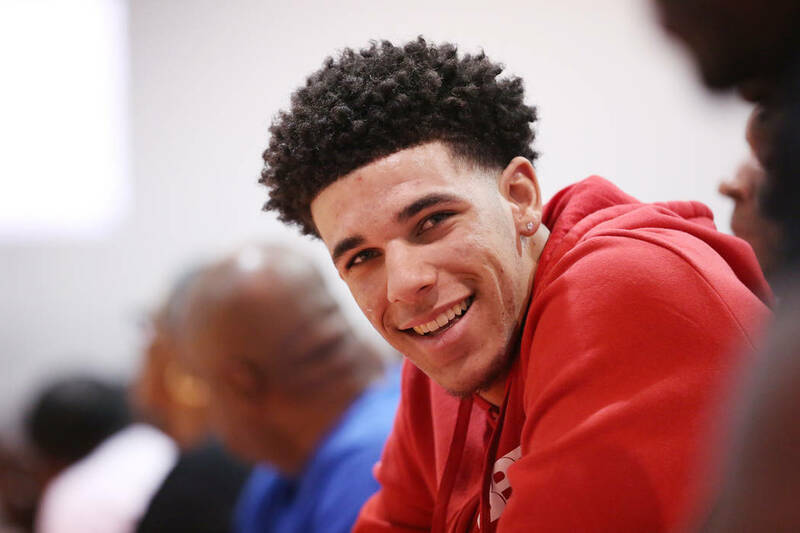 His brother Lonzo was drafted second overall by the Los Angeles Lakers. 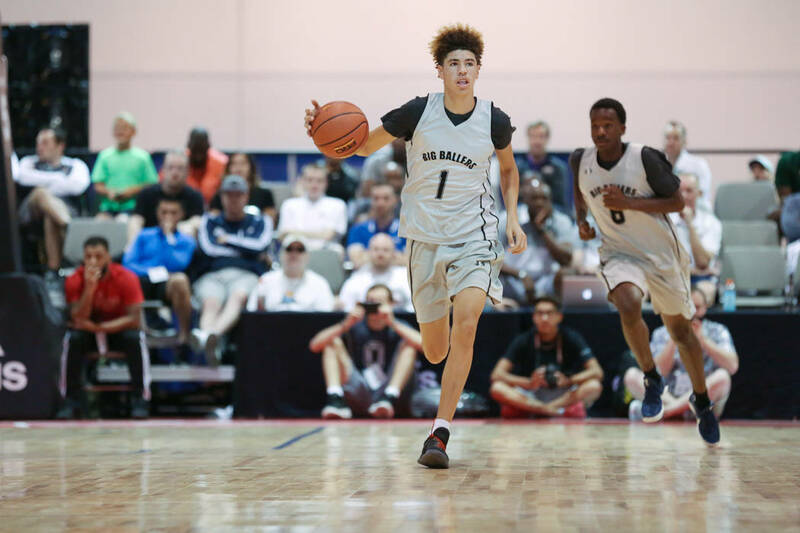 His other brother LiAngelo will be a freshman at UCLA this season, but the Ball family may best be known for its patriarch. 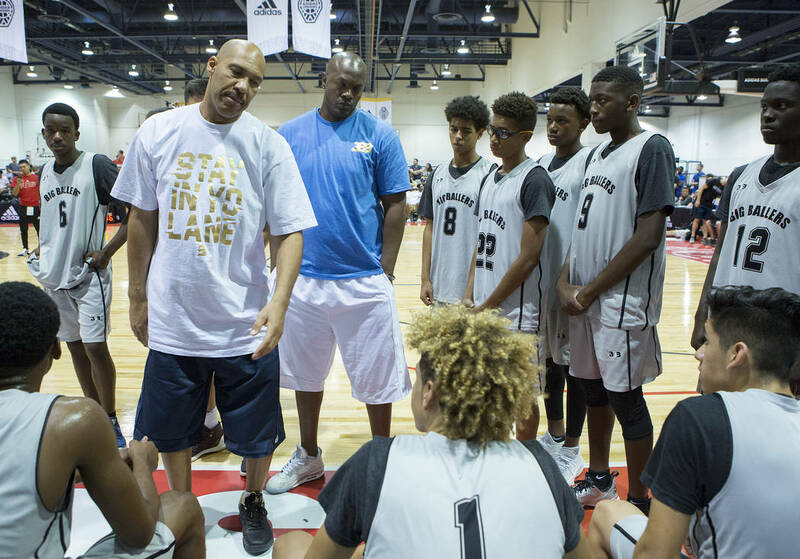 And the outspoken LaVar, who is also LaMelo’s AAU coach, wasn’t shy in saying which of his sons was the most advanced as this stage. 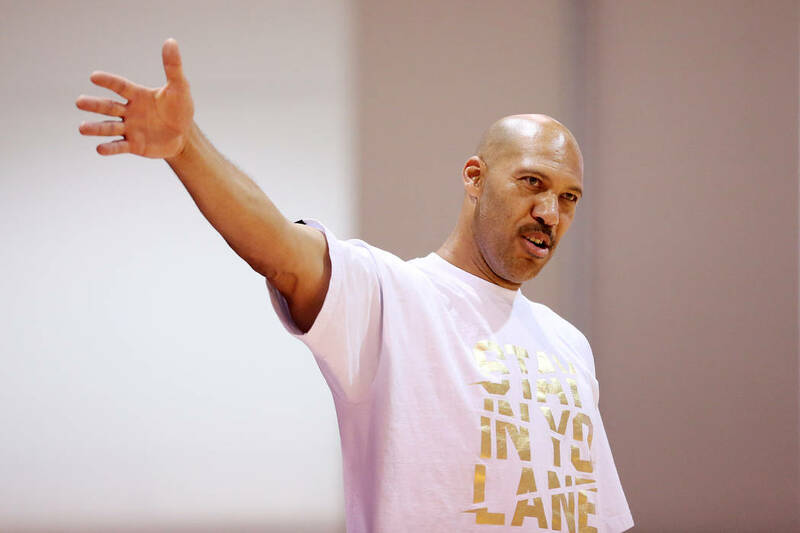 “Melo by far,” LaVar said. His dad has made waves with bold and sometimes outlandish statements about his children. He has appeared on First Take and WWE Monday Night Raw, among other platforms. 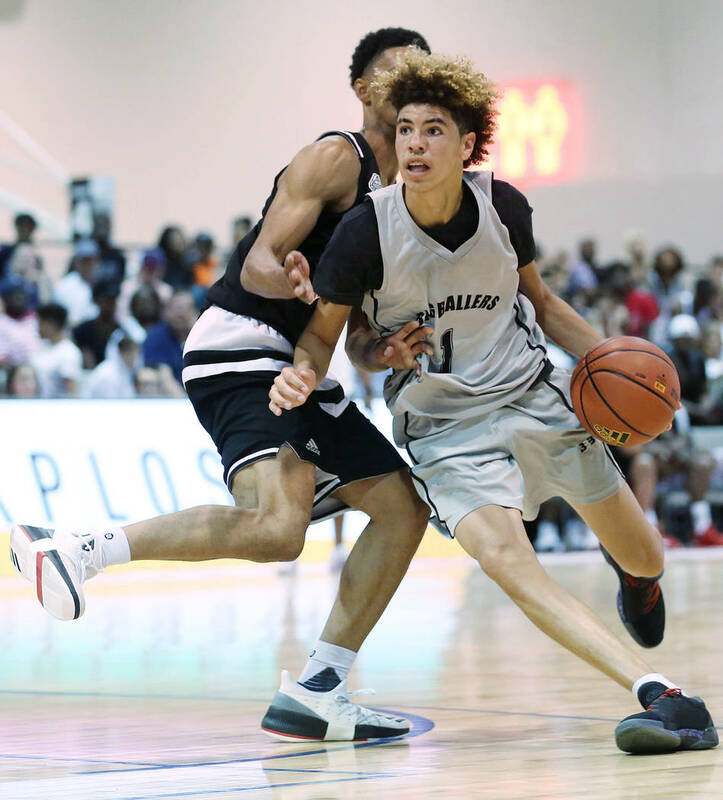 For LaMelo, it’s just dad being dad. 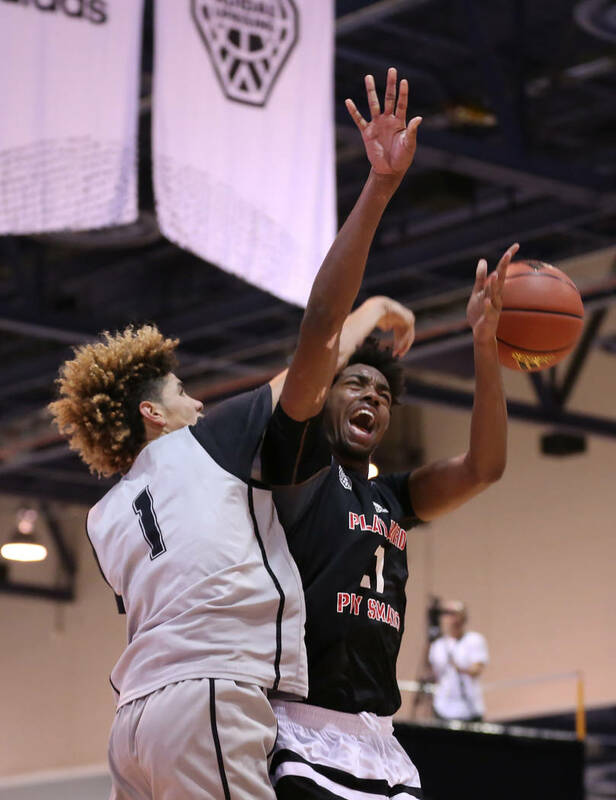 Bryce Hamilton led his Belmont Shore (California) squad to a 64-60 win over Colorado Chaos in its opening game of the Fab 48 tournament. 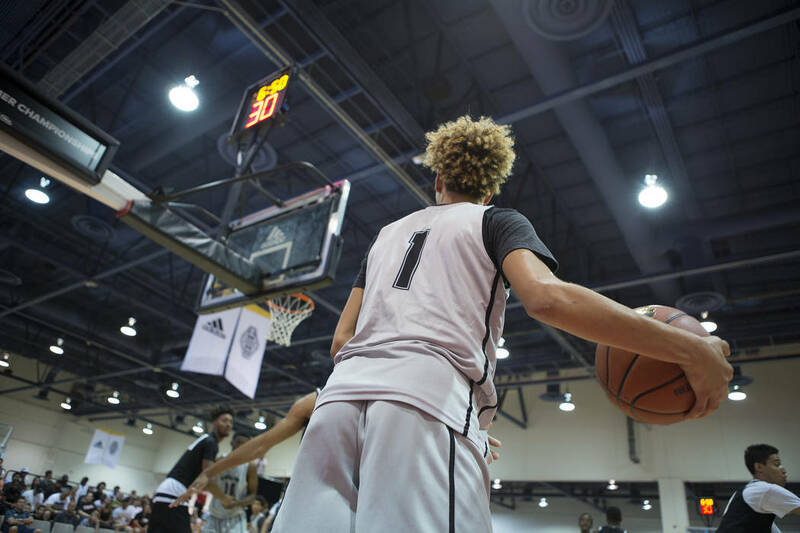 Hamilton had 28 points and six rebounds at Bishop Gorman. 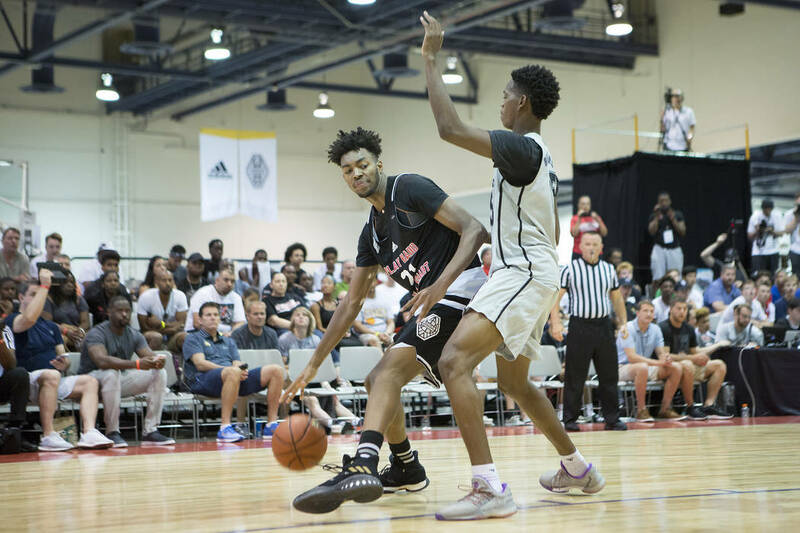 Among the college coaches who watched were assistants for UNLV, Utah, San Diego State and Ohio State. 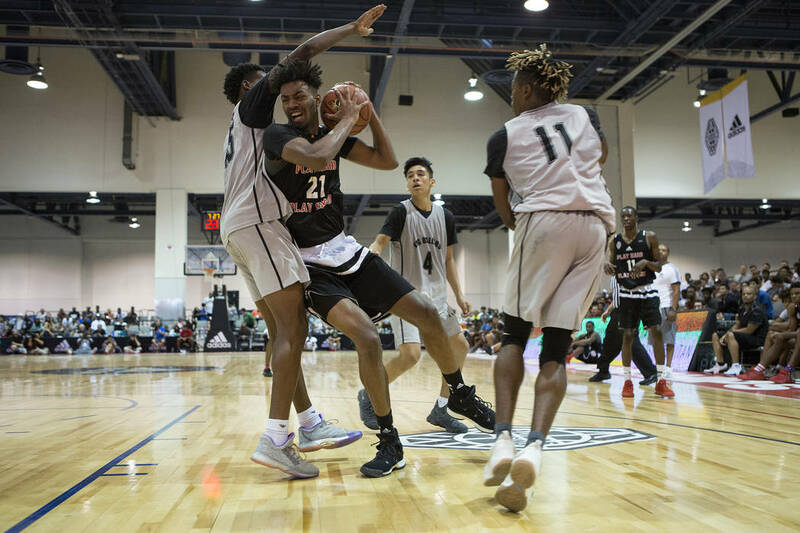 Hamilton, who is being heavily recruited by UNLV, got off to a slow start but helped Belmont pull away in the second half with timely baskets and offensive rebounds. 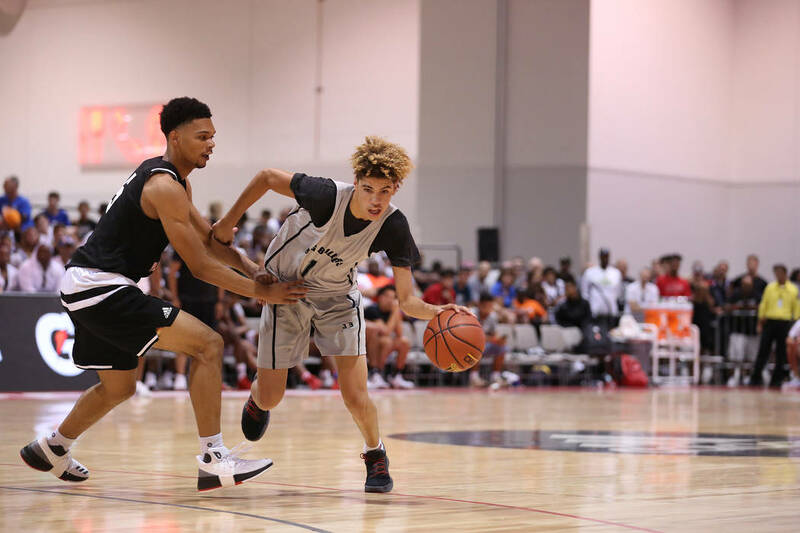 Clark’s Trey Woodbury had 21 points and Bishop Gorman’s Jamal Bey scored 19 in Vegas Elite’s 75-61 loss to Coastal Elite (California) in a 17U game in the Las Vegas Fab 48 at Bishop Gorman. 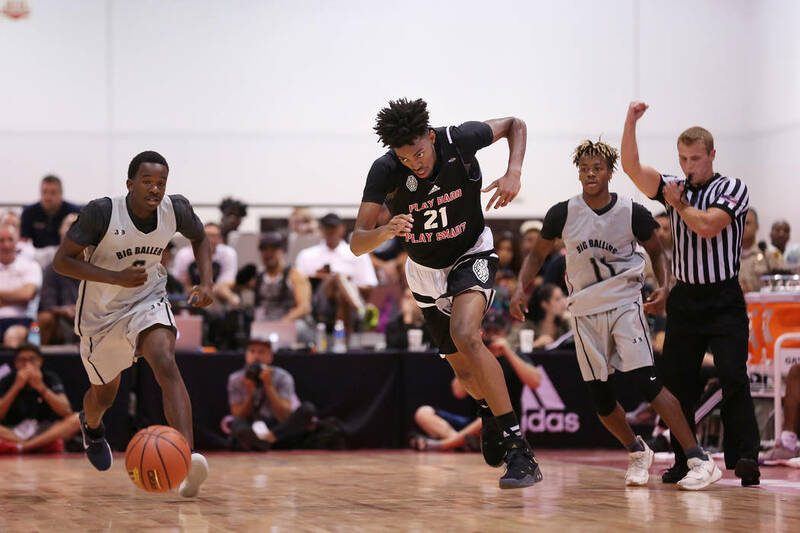 Woodbury and Bey are the state’s top prospects for the class of 2018 and said they have considered being a “package deal” for college. 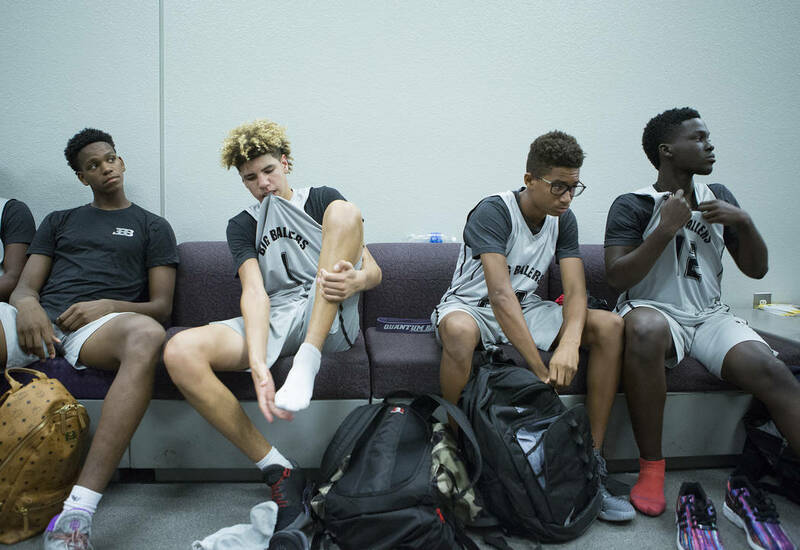 The teammates and best friends share offers from Arizona State, Southern California, Texas Christian and UNLV. 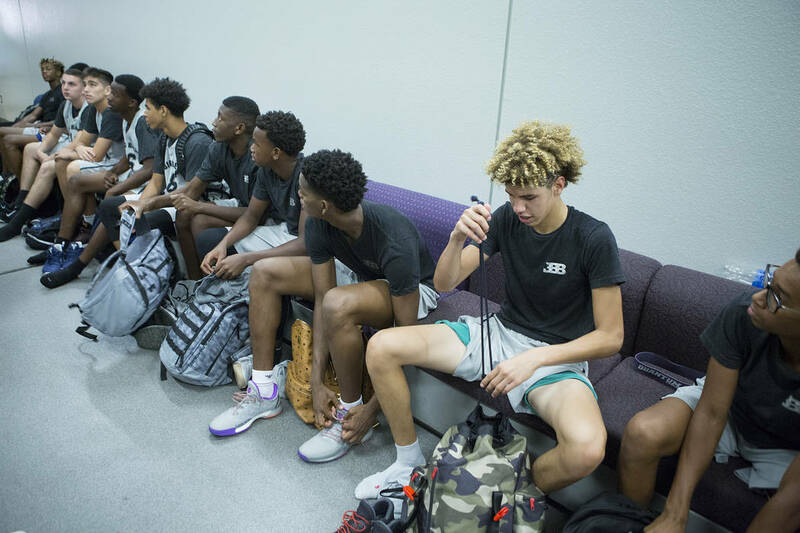 The Vegas Elite 2020 squad won its matchup in double overtime. 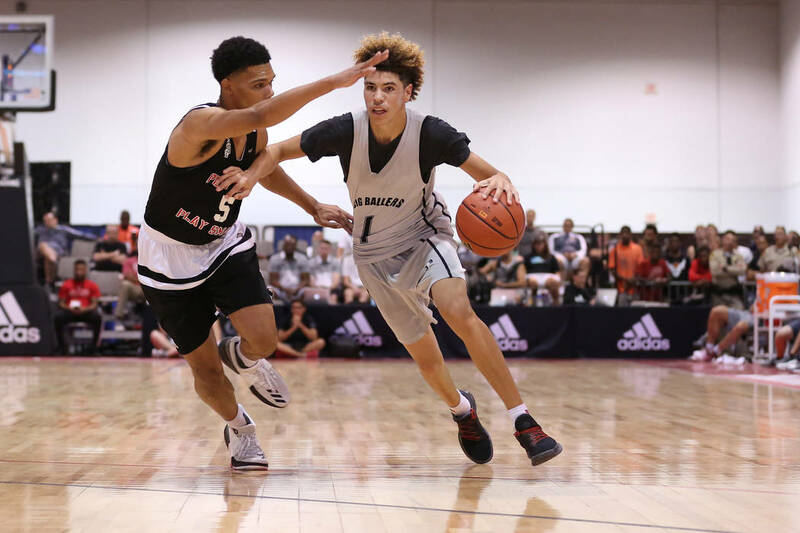 Gorman teammates Noah Taitz (27 points) and Zaon Collins (10 points, 10 assists, seven steals) led the way. 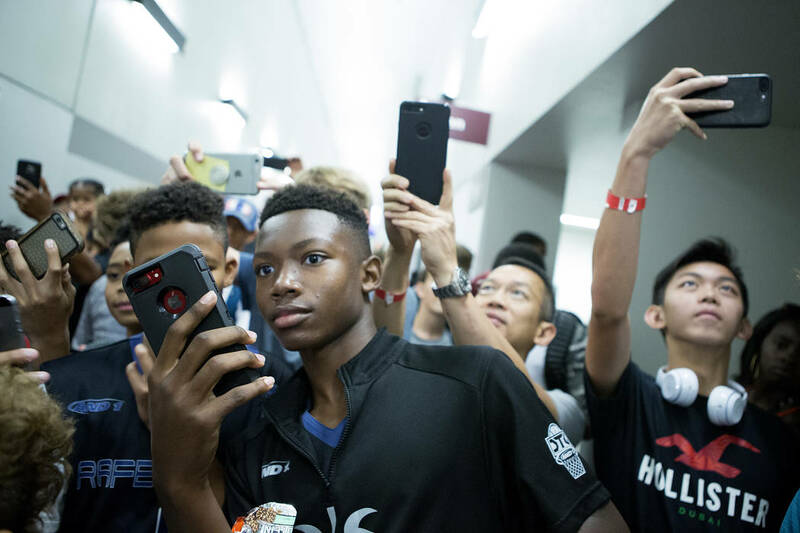 Duke’s Mike Krzyzewski, Oregon’s Dana Altman, Gonzaga’s Mark Few and Kansas’ Bill Self all watched the Las Vegas Classic at Spring Valley High for The Eight Tournament. 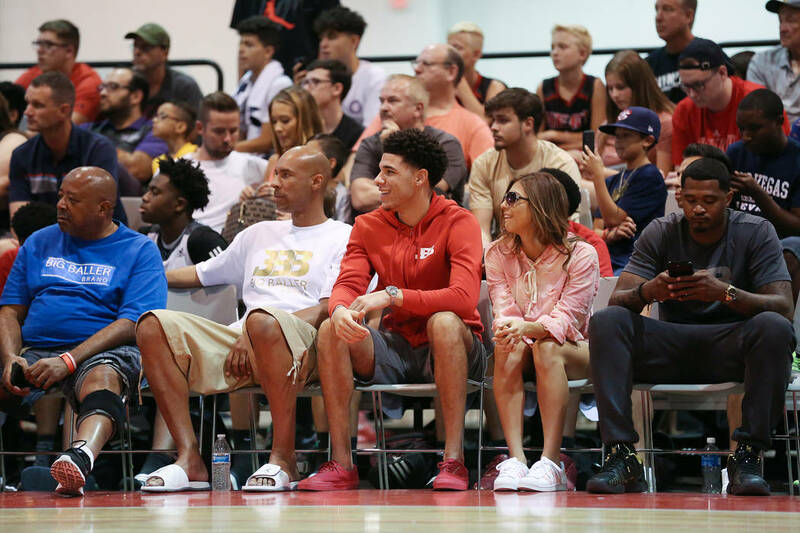 UNLV’s Marvin Menzies, South Carolina’s Frank Martin and San Diego State’s Brian Dutcher were at Bishop Gorman High School to watch the Fab 48 tournament. 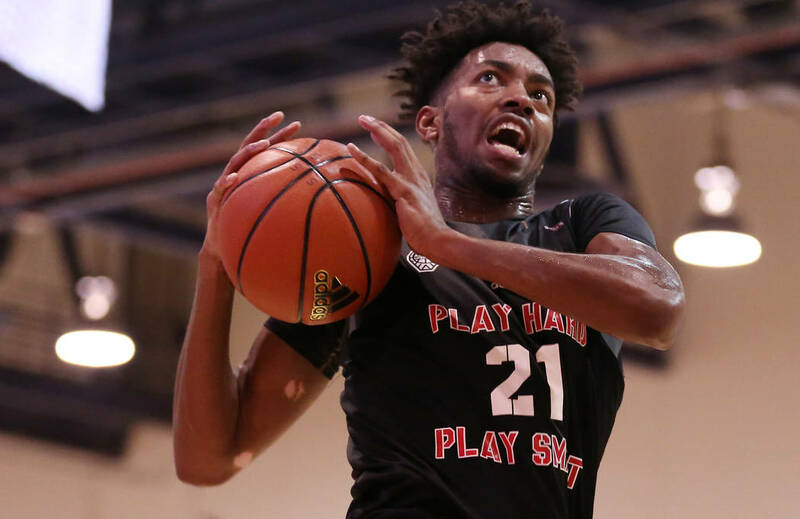 Arizona’s Sean Miller, Kentucky’s John Calipari, North Carolina’s Roy Williams and Virginia’s Tony Bennett were on hand for the five-star Williamson and SC Supreme in an afternoon game at Cashman Center.